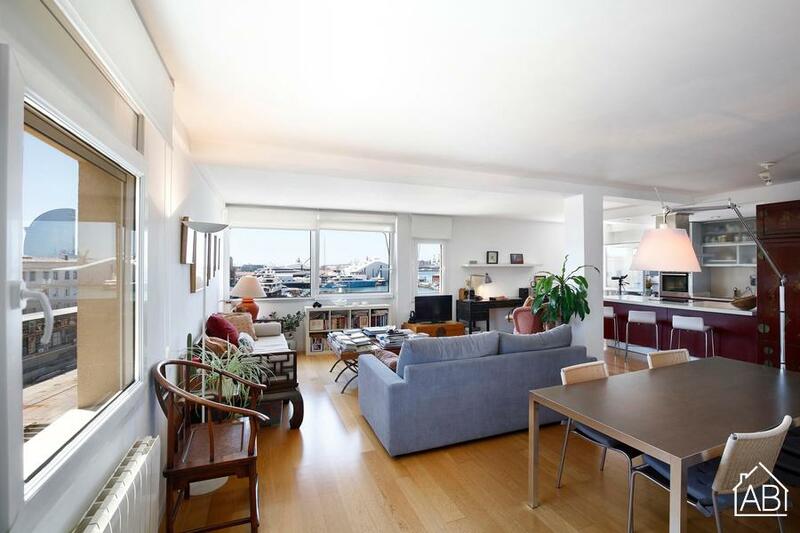 This spacious two bedroom apartment in Barcelona, located in Port Vell is the ideal base for those making a temporary move to the Catalan capital, or those just looking for their own place to call home in Gaudí´s city! It is located right next to One Ocean Port Vell Marina and just 100 metres from Barceloneta beach. From here, exploring the beaches of Barcelona and historic downtown will be a breeze, or for those that need to get around town, a metro station is located just a few steps away. The kitchen in this comfortable apartment comes complete with everything you´d need to prepare your favourite dishes, and you´ll also find there is a kettle and a toaster. The apartment has 2 bedrooms and 2 bathrooms. It has everything you could want to feel at home, including air-conditioning, heating and a washing machine. There is also a WiFi connection, as well as a satellite TV.